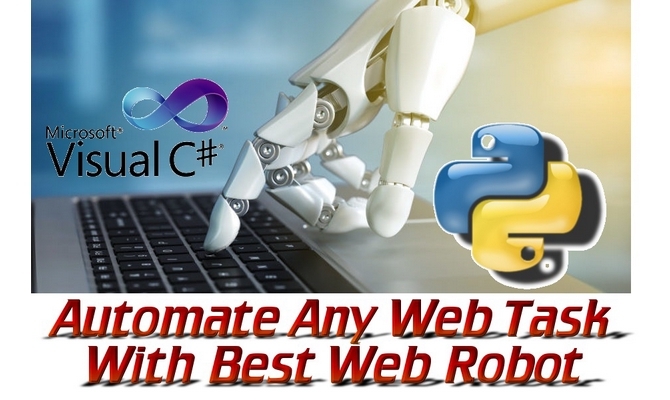 Web robots are used to automate your daily task to save your time and labor. Some examples of daily internet activity and rapidly performed we tasks are given below which you can automate . Daily auto post, auto comment, auto like , join groups, send friend request on social media. Send traffic to any website with proxies. And many more tasks which can be automated. I will show you demo before deliver for your satisfaction. Customer satisfaction is always on priority. I will help in setup application on your desktop. After all I will be always be there for you for any kind of issue with application. Contact me before order so I can provide best possible solution of your problem . Feel free to message me any time . Happy To Help !